In May 2015, Utah State University’s Fife Folklore Archives, Folklore Program, and The American Folklife Center at the Library of Congress with help from the Karen community hosted a Field School for Cultural Documentation: “Voices: Refugees in Cache Valley.” Cache Valley, Utah is the home of Burmese Muslim, Karen, and Eritrean refugees. Students documented the stories of these communities; which is an important goal of Utah State University’s Fife Folklore Archives (FFA). The subject matter of these interviews reflect the lives of refugees and may contain distressing content. 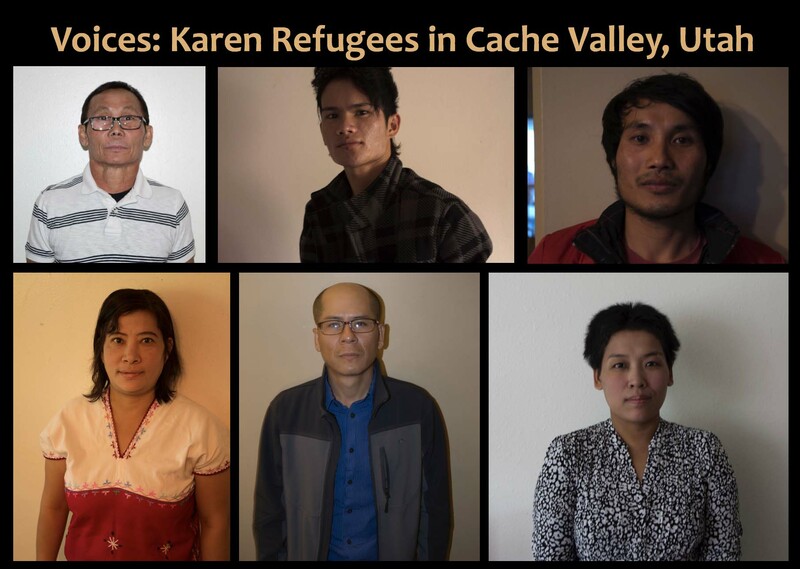 This exhibit documents and examines some of the experiences of Cache Valley refugees from Karen State in Burma and has been approved by the interviewed community scholars. Please use the navigation box to the right to explore the exhibit. We suggest that you begin your tour at the "Refugees in Cache Valley" page.